I really love the Harry Potter series, and I thought it would be nice to have a page here just for important HP-related releases. As the fifth movie and the seventh book in the series approaches/approached, I decided to start a bookring of HP coloring books. There's a total of 384 pages to color. Status: Caught & Journaled! 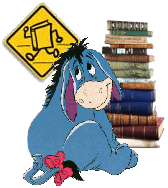 The finder is from another town in VA, left a lovely journal entry, and joined BookCrossing. 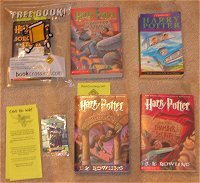 I released a copy of Harry Potter and the Chamber of Secrets when I went to see Harry Potter & the Order of the Phoenix in movie theaters. 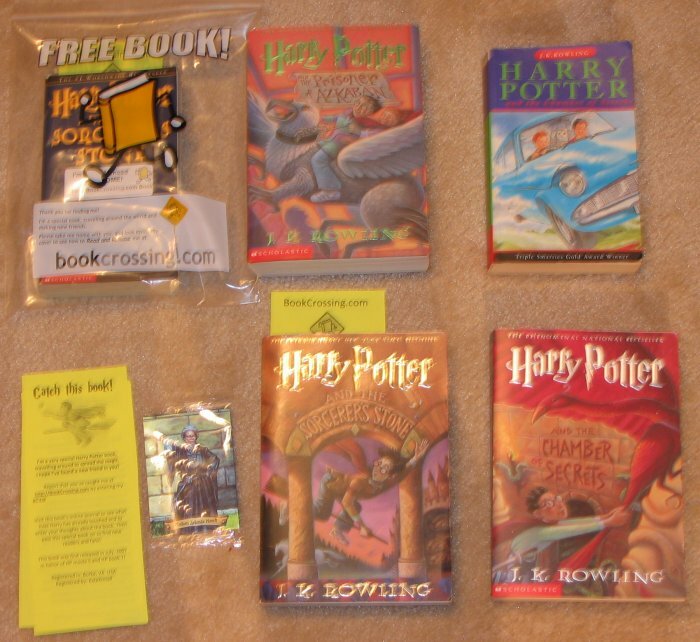 I released a copy of Harry Potter and the Sorcerer's Stone when I went to see Harry Potter & the Goblet of Fire in movie theaters. My first releases were two books released within about 10 minutes apart. One of them, Harry Potter and the Sorcerer's Stone, was my first BC Catch!